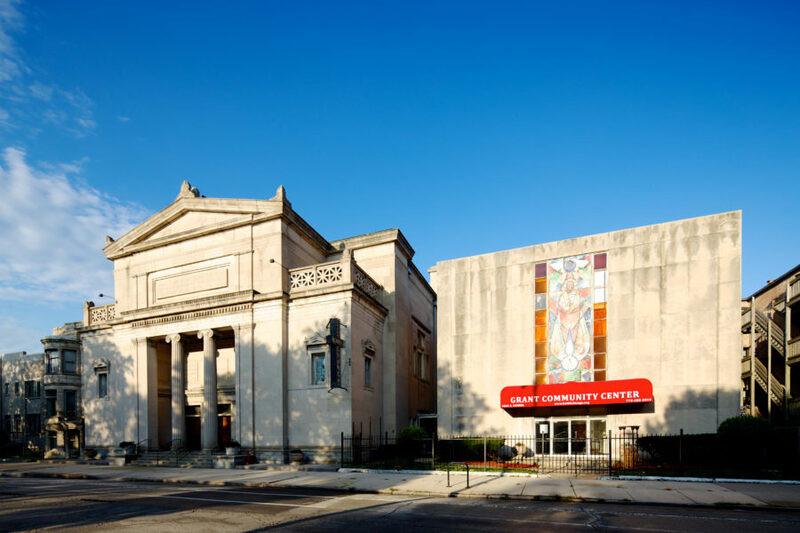 Along Drexel Boulevard on the South Side is Grant Memorial AME Church, which for more than 60 years has been a pillar of faith and giving back to the community. The church building is beautifully designed in the Neoclassical style, and is an important part of architectural and ecclesiastical history. 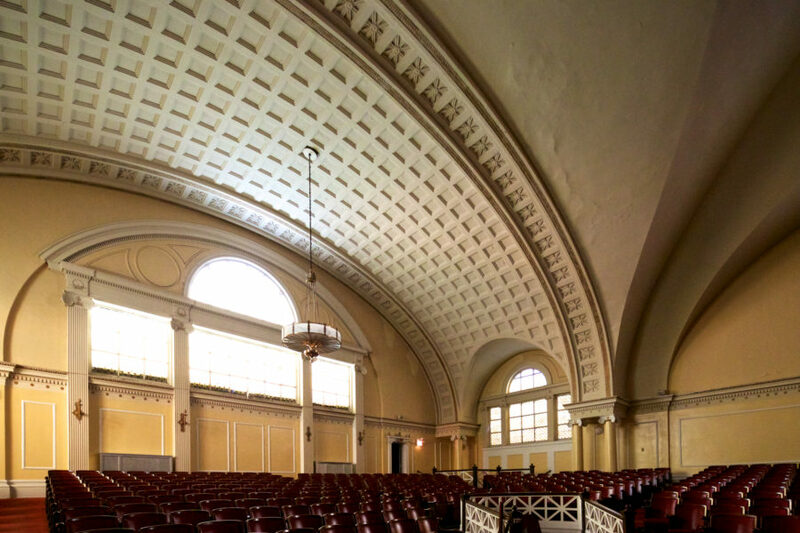 Designed by noted architect Solon Spencer Beman, this was the first Christian Science church built in the Greek Revival style, which would become the common building style of Christian Science and other churches for decades. Early in his career, Beman embraced an eclectic array of building designs, which included Queen Anne, Romanesque and Gothic Revival styles. One of his most notable commissions was Pullman, a planned company town he designed at the age of 26. 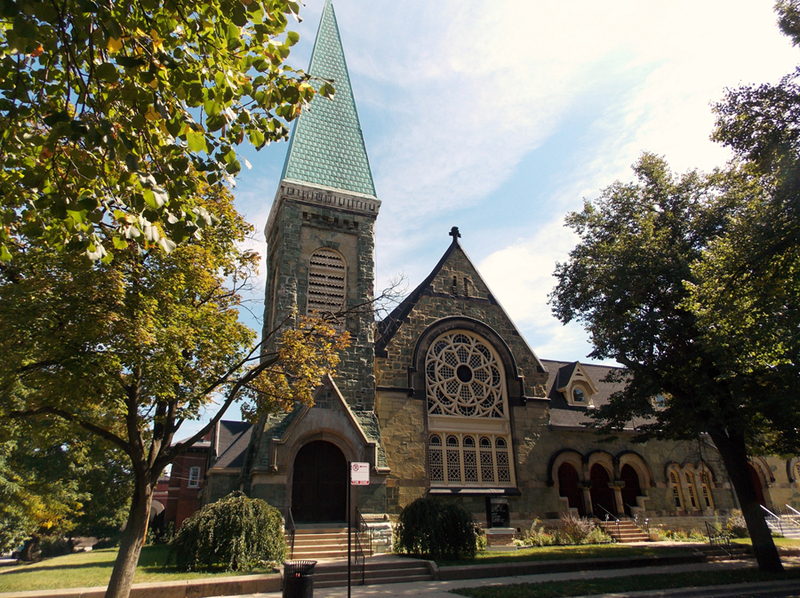 The Greenstone Church pictured above that he designed is located in Pullman and built in the Gothic Revival style. Like architects all over the world, Beman was heavily influenced by the Neoclassical style. Daniel Burnham, architect of the fair, also favored this style. Beman designed the Mines and Mining Building and the Merchant Tailors Building (above). The Merchant Tailors building would serve as a loose blueprint for the First Church of Christ, Scientist building. 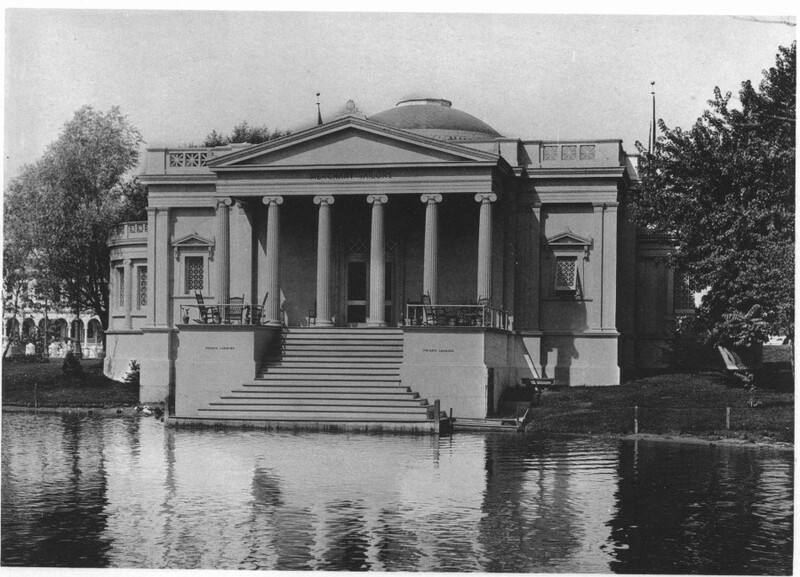 The stately and historical revivalist buildings he designed at the World’s Columbian Exposition marked a permanent shift in preference to Classical Revival design. With the location for the new building settled, the committee began the work of securing plans. Twelve of the leading architects in the city were asked to submit designs for the structure. 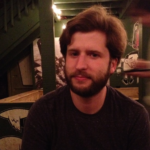 The conditions imposed were merely that the auditorium should seat 1,500 people […]. As soon as the plans were all in the committee inspected them carefully and then took a “blind vote.” When the slips of paper were examined it was found that the members were of one mind, and that all had voted for the design by Architect S.S. Beman. 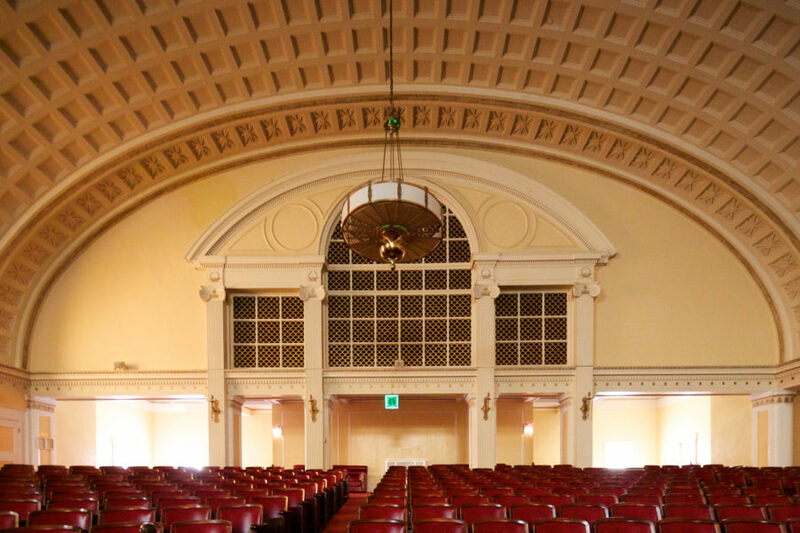 One of the church’s distinguishing features is the auditorium-like seating, and a lack of supporting columns to obstruct the view or acoustics. Because much of the Christian Science tradition involves readings, clarity and proximity to the reading desk were primary considerations in the design. At the time of construction, it was noted that the “farthermost seat is not more than sixty-five feet from the desk” (also from 01/17/1897 Daily Tribune). Though commonplace in ecclesiastical architecture today, the exterior facade marked a clear departure from most church design at the time. There was no soaring tower, no large expanses of stained glass. Instead, a simple edifice with Ionic order columns, inspired by the Erechtheion of Acropolis. 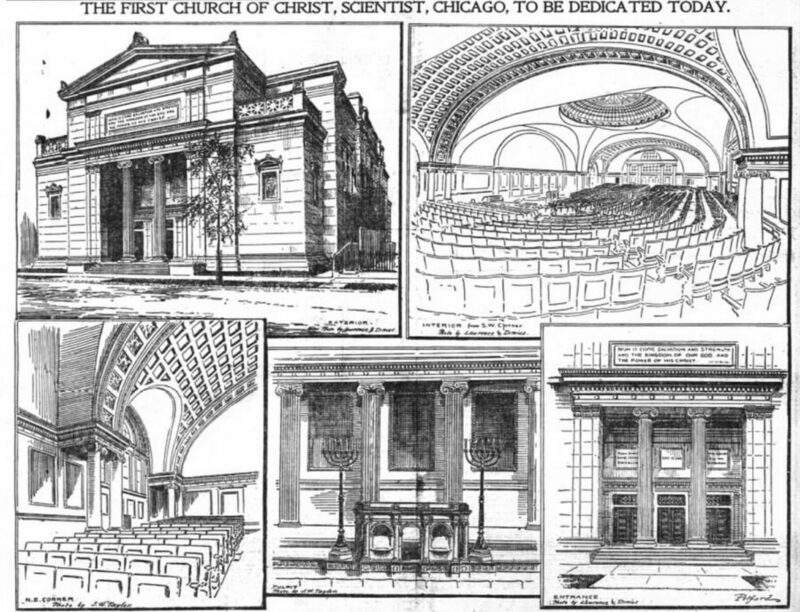 The church in Chicago was the first Christian Science church built in the Classical style. 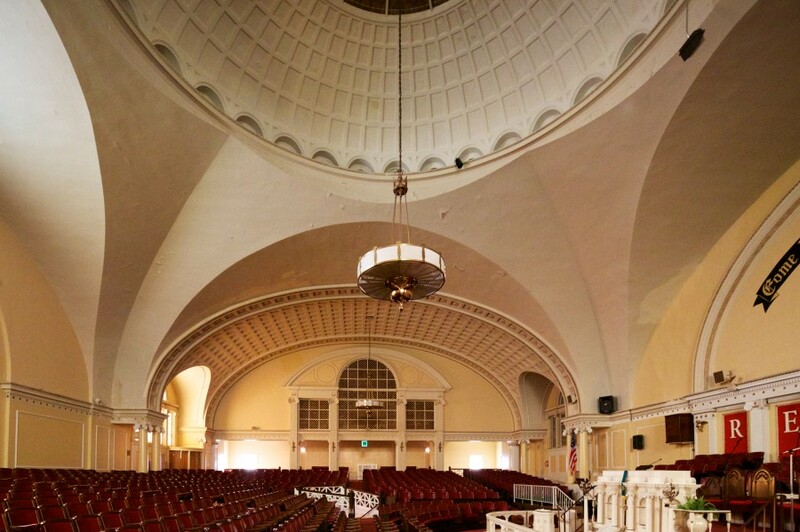 It would influence the design of many others across the country, including a later addition to the “Mother Church,” The First Church of Christ, Scientist in Boston. 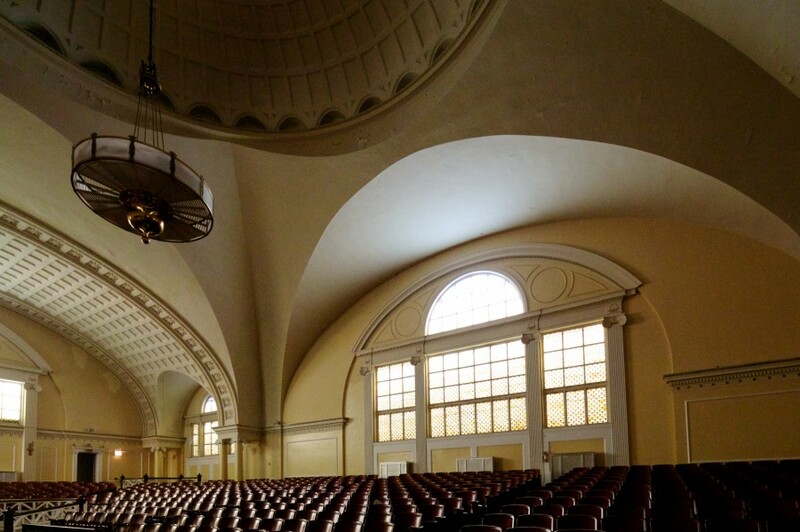 […] it follows logically that it [Christian Science] is likely to favor classic architecture for its churches. This style, with its sense of calm power and dignity, and with its true systems of proportion, its sincerity and refinement, and I may add its rationalism, seems to represent the faith of those who employ it in their homes of worship. By the 1940s, the neighborhood was changing rapidly as a result of the Great Migration. At the same time, the Christian Science Church as a whole began to decline rapidly. 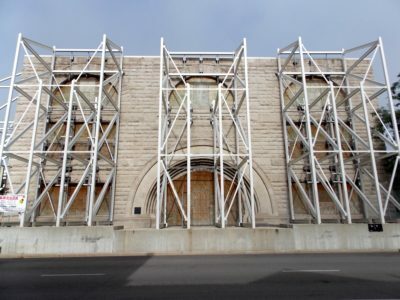 The church building was sold to Grant Memorial AME Church in 1950, and today First Church of Christ, Scientist of Chicago is no longer in existence. 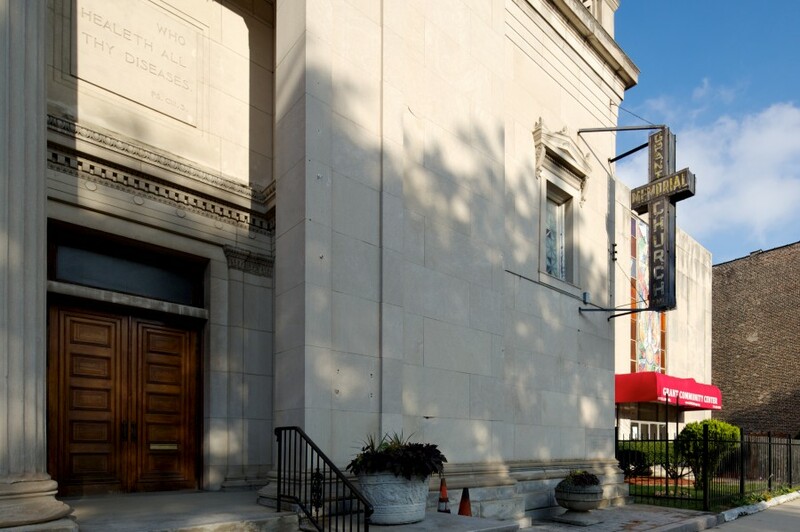 Grant Memorial has been a pillar of the community since moving in to the church over 60 years ago. One of the ways they do this is through Operation PULL (People United to Lift Lives), a food pantry helping feed those who struggle to feed their family. Operation PULL began as bi-weekly food distribution at the church over 30 years ago, and today helps those in need across the Oakland, Grand Boulevard, and Kenwood neighborhoods. 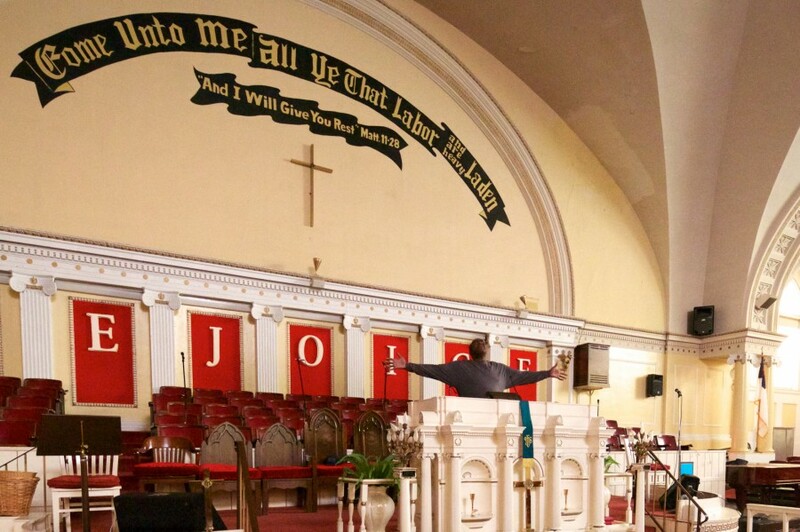 While many former Christian Science churches languish in vacancy or neglect, this historic structure continues to thrive the people in it make a positive difference in their community.